SLOW’s Routegadget installation is here. This is Routegadget 2, which does not require a Java runtime in your browser. 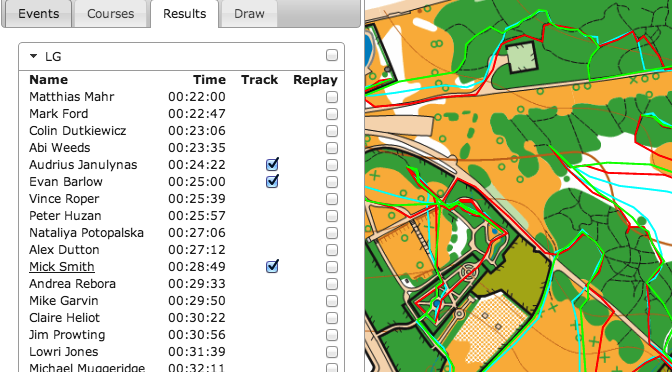 You can view other people’s routes, and add your own. Note: You cannot add your own route if you are using the Chrome browser, due to a bug which means you cannot select your name. Please try using Firefox instead if adding your route. If you prefer the classic Java-based Routegadget, you can access it here. See also this information on how to use and add your own routes to classic Routegadget.